Your self-employed status will help us determine which lenders we can package your mortgage application to. If you own more than 25% shares in a Limited Company, your mortgage borrowing will be assessed on a self-employed Basis. Generally most company directors choose to draw a low salary and minimise dividends, although very tax efficient, the downside of this is that it reduces potential borrowing. The good news is that we have established relationships with lenders whose underwriters will utilise retained profits not paid out for tax planning purposes. This method of calculation actually better reflects your true earnings potential. A number of these lenders will also consider 1 year’s trading accounts and SA302. A sole trader is a small business that is owned and controlled by only one person. It may have one or more employees. It is the most common form of ownership in the UK. A sole trader has unlimited liability. This means that your mortgage borrowing will be assessed on all the profit that the business makes. We have arranged mortgages for many start-up’s including hairdressers, photographers, plumbers, electricians, beauticians, builders and cabbies. The majority of high street lenders will want to see at least two years accounts or SA302s. There is no way around this, but some lenders will consider one year’s accounts with accompanying SA302’s. HMRC introduced a tax calculation form SA302 to verify the amount of tax you have paid. More and more lenders are requesting SA302’s from self employed borrowers. They are only available from the Tax Office. Contractors generally have more options and flexibility than company directors and sole traders. Typically a contractor will work for one client at a time through a recruiting agency. They will usually be expected to keep certain office hours and projects can range between three to 12 months, but paid on an hourly or daily basis. 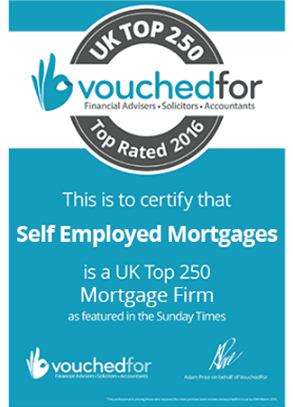 Such clients can choose to be assessed on a self-employed basis or apply for a contractor mortgage. The main benefit of the latter is that certain banks will annualise the day rate to determine income. No accounts or SA302’s are required for income verification. A typical freelancer will work with multiple clients at any time. Most of the jobs they work on are short-term or on-call basis. Often they will work from their own home and will only visit clients as needed. Where there is no formal contract, freelancers, regardless of whether they are sole traders or company directors, can only be assessed on a self-employed basis.